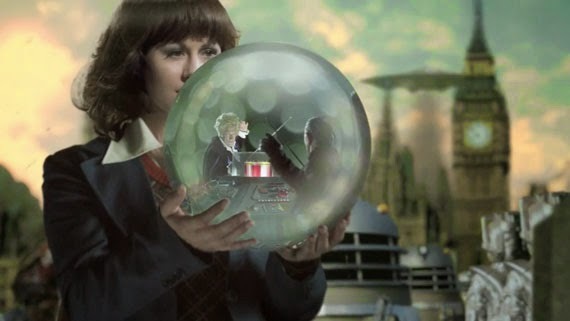 DOCTOR WHO Companion Pieces - SARAH JANE SMITH | Warped Factor - Words in the Key of Geek. As we draw to a close our weekly tributes to the many companions of Doctor Who, Tom Pheby looks back at a true fan favourite, Sarah Jane Smith, played by the dearly missed Elisabeth Sladen. 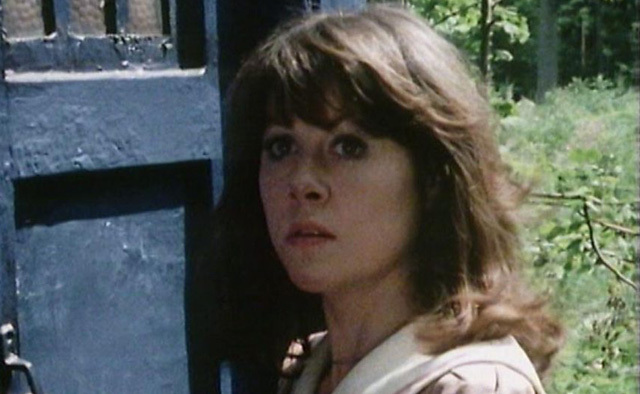 How tragic and untimely it was when Elisabeth Sladen, best known for her role as Sarah Jane Smith in Doctor Who, sadly passed away from cancer in 2011. The actress, who was also a writer, had seen her career rejuvenated by Russell T Davies after he had resurrected the series in 2005. Davies delved into the Who history archives and decided to bring back the ultimate companion culminating in an long overdue appearance with David Tenant in the 2006 episode School Reunion. This resulted in her own spin off show, The Sarah Jane Adventures. As is often the way, her contribution to the success of the show can only now be fully appreciated. When younger, the Liverpudlian actress showed an interest as a performer, firstly in ballet and later the theatre, but it was only in the 1960's when this stage manager began to perform that she found her niche. 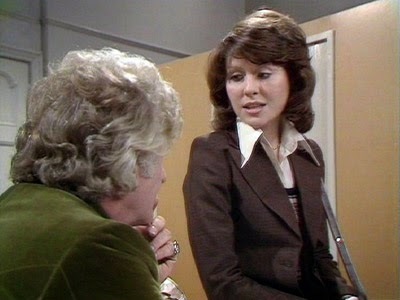 Elisabeth Sladen began to appear on the small screen in bit parts for shows such as the BBC police drama Z Cars, but sadly without any notable recognition. It was only when she was introduced to the role of the Doctor's assistant, Sarah Jane Smith, that she became a star and household name. Sarah Jane was an investigative reporter working for Metropolitan magazine. She'd posed as her own Aunt to gain access to a UNIT facility, looking for a story about missing scientists. It was there she first met the scientific adviser called the Doctor - at that time in his Third body. Suspicious of his activity, Sarah Jane stowed away in the TARDIS and ended up traveling back to the middle-ages and facing the Sontarans. Sharing the TARDIS with both Pertwee and Baker, Sladen's character began as a naive and inquisitive passenger. She had to suffer her share of fluffy scripts, show the right levels of astonishment and surprise, as well as screaming in all the right places and provide the Doctor with a platform to be the genius he undoubtedly is. But over time she became an intricate part of the series, sharing the limelight with the Doctor and on occasion taking the lead without him. The audience quickly warmed to her and she single-handedly set about redefining the role of the female sidekick to become as crucial as the TARDIS itself. Not just a pretty face, someone that the Doctor himself relied on, a voice of reason and humanity. She added a little class and intelligence to the part without trying too hard, always sustaining interest without the audience constantly craving the presence of the Time Lord. 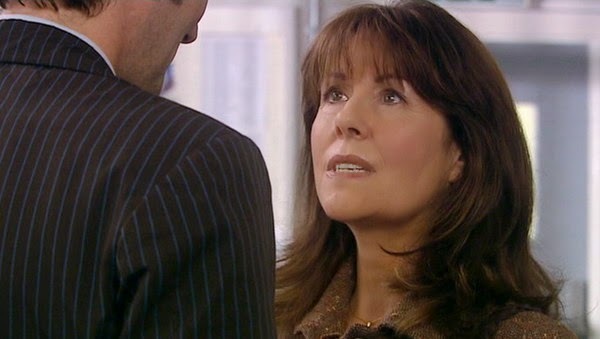 Russell T Davies, himself clearly a fan of Sarah Jane, encouraged Elisabeth Sladen to reprise the role, and when she did return to our screens in 2006 (none the worse for semi-retirement to raise a family) we welcomed her back with open arms and a sense of nostalgia. She slipped back into the role of Sarah Jane Smith effortlessly and didn't disappoint. It was as if the years that had passed were like minutes and she picked up seamlessly where she left off. If you ask any Doctor Who fan who they liked most as a companion you can guarantee Sarah Jane's name will be high on the list. It's fair to say that there would have been no place for the type of new strong female assistants, such as the feisty Amy Pond, without Sarah Jane Smith. 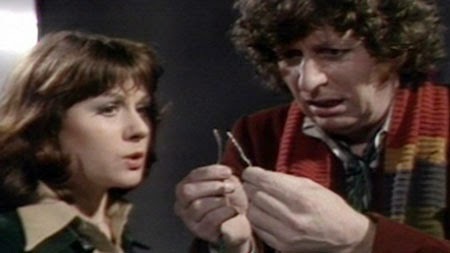 Time will tell if any of modern Who's popular companions are remembered so fondly and summon the same affection in decades to come, although I highly doubt they will have the longevity Sarah Jane has had. 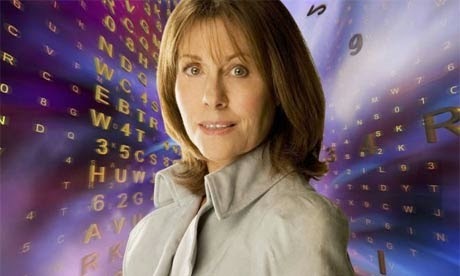 Elisabeth Sladen was an incredible individual, bravely battling cancer whilst working as long as she could on the role that she could never truly escape but grew to love, and so it was fitting that The Sarah Jane Adventures picked up an award in 2010 from The Royal Television Society for the Best Children's Drama. "I would be p***** off to my socks. I would have said, “Well, they know what they’re doing,” but I would have secretly thought, “Oh, what a mistake they’ve made." Elizabeth Sladen was liked by everyone involved with the series, and Sarah Jane Smith will forever be engrained in the memory of those that have ever watched and enjoyed Doctor Who. To so many of us she will remain up there with the best of the best. "Lis laughed at my silly antics; yes, she did, she laughed me to success."